Use these RJ12 (6P6C) cables to connect electrical equipment such as telephones, data acquisition devices, test equipment, serial devices, and PC accessories. These attractive cables are available with various lengths and shielding options. All cables have all six conductors and are wired straight through (Pin1-Pin1, Pin2-Pin2, etc). 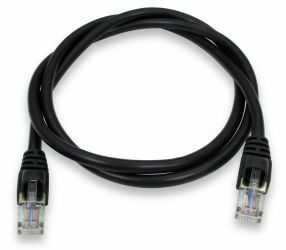 RJ11 and RJ12 connectors are physically the same size. The difference is in the number of conductor positions populated. The RJ11 has 6 conductor Positions, with 4 Conductors populated, leaving 2 empty (6P4C), while the RJ12 has 6 conductor Positions with all 6 Conductors populated (6P6C).